Due to the Memorial Day holiday, shipping schedules may be effected. If you want to receive your shipment by Tuesday, you MUST complete the course quiz and order your fast shipping option before Friday, May 26, 2017 at 3:00PM. Orders placed after 3:00PM will be shipped on the next business day. We are your One Stop Shop for your Ticket Dismissal and Driving Record! 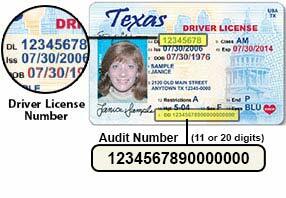 Order your Texas Driving Record through us and Save Yourself a Trip to the DPS Office! Unlike other companies, we offer delivery of your driving record via e-mail at NO additional charge. This eliminates the hassle of waiting for a courier to delivery your driving record. If you don't have a printer there are other delivery options we offer. We process our driving records multiple times throughout the day. Order your certified Texas driver record before 4pm CST, and you can receive your record the same day via e-mail. Terms and Conditions: Funny Bone Schools of Defensive Driving provide driving records as a service to our clients. Not all driving records can be pulled from the state database. If your driving record cannot be pulled, a representative will contact you. If any information above is entered incorrectly your driving record delivery will be delayed. We processes driving records daily Monday through Friday between 8 a.m. and 5 p.m.
Email, Mail and Next Day deliveries will only be processed Monday through Friday between 8a.m and 4p.m. If ordered outside this window, the order will be processed the next available processing day. If you have any questions, or concerns, you may contact customer service 7 days a week at 1-888-331-2113. *If you are a current online student and are still taking the course do not order your driving record here, you will have the opportunity to order your driving record at the end of your online course, otherwise you can pre-order it here.